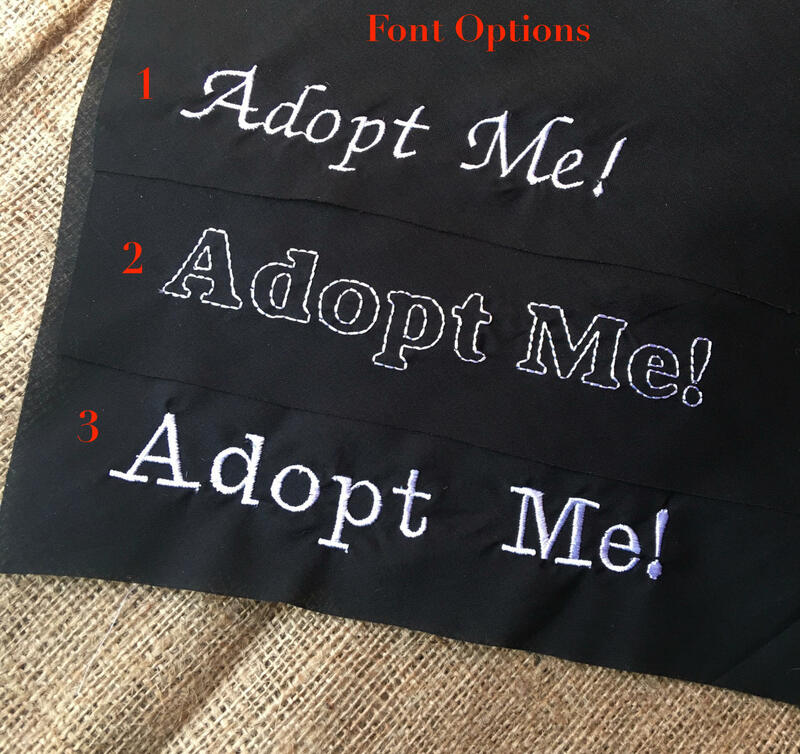 This is a handmade bandana for your Army dog! Made with quality, carefully curated fabrics that are complimentary to each other as well as fashionable and striking! 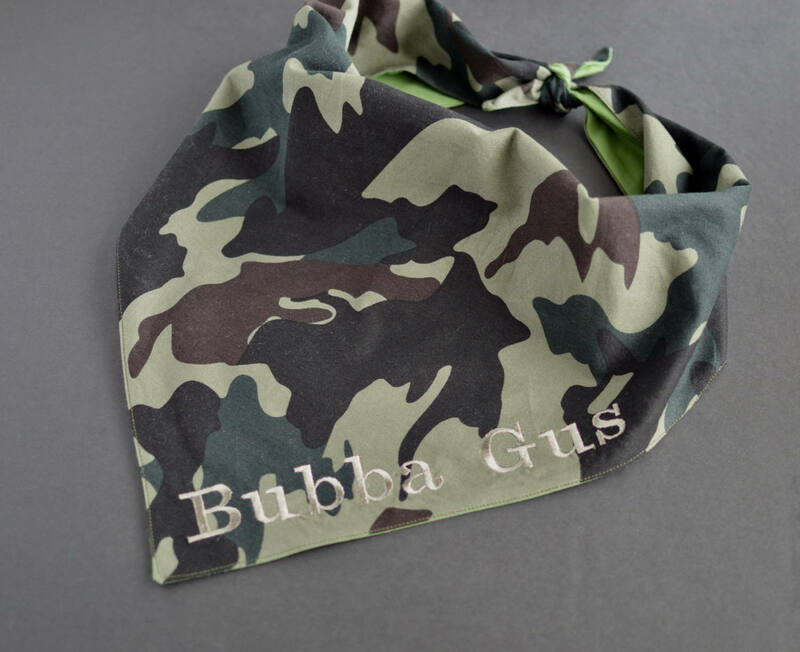 Show your military pride with this personalized pet bandana, with green army print on one side and a green on the other. The edges are fully finished for a professional look! This comes in all sizes from the tiniest puppy to giant breeds like Mastiffs and Saint Bernards! Is your dog bigger than the Mastiff size? 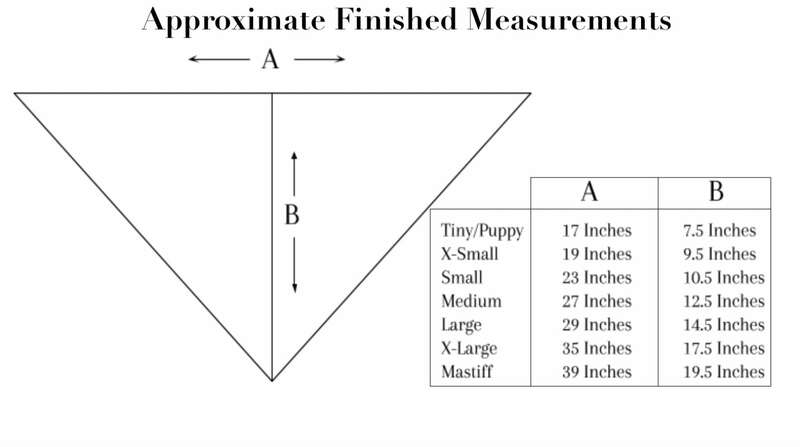 Message me with their measurement and I can look into a custom size! Because ANY size dog should look this good. 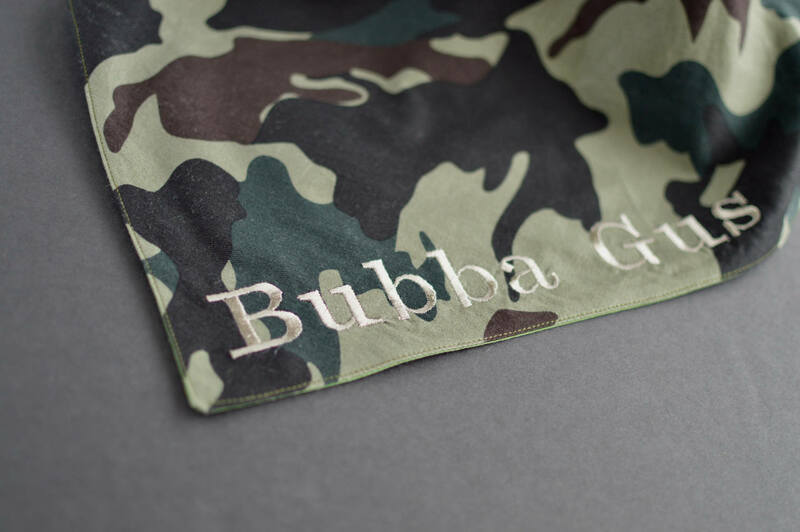 Their name (10 characters max) will be embroidered on the army print side of the bandana in a khaki colored thread unless you have a different preference. Just leave the name in the order comments!